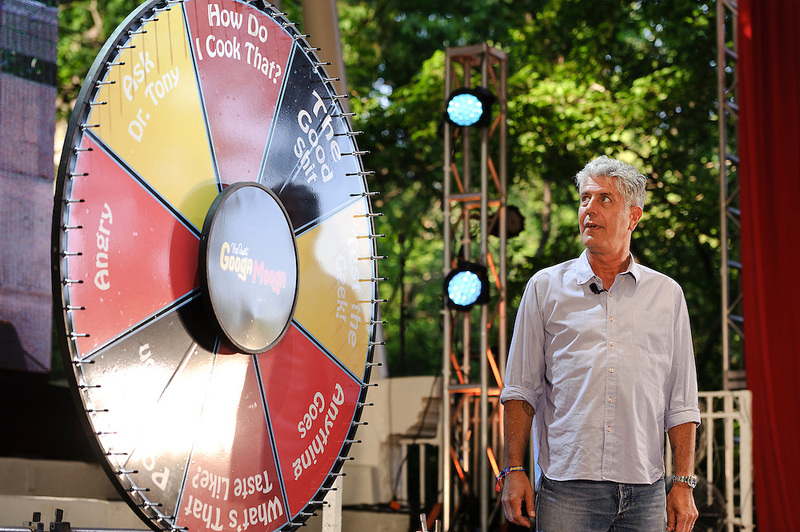 Photos of celebrity chef Anthony Bourdain at The Great GoogaMooga festival at Prospect Park in Brooklyn, NY. Photos of celebrity chef Anthony Bourdain at The Great GoogaMooga festival at Prospect Park in Brooklyn, NY. May 19, 2012. Copyright © 2012 Matthew Eisman. All Rights Reserved.